I’ve loved Beths dolls for a long time, but only recently I decided to sit down and made some. If you’ve not seen her blog google it and go there… By Hook By Hand. She has written several doll patterns each with sets of clothing. The patterns are easy to understand and amazing, plus she has updates for making joints including little wrist joints. Starting with the tallest, Bleuette, based on a vintage french doll. 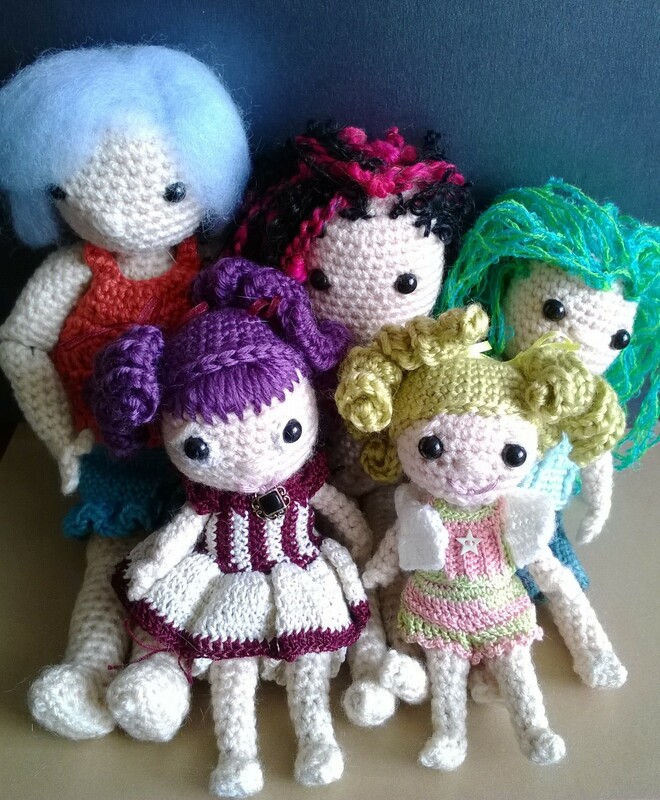 Then the 4 spirit dolls in size order, Spirit Doll (black and pink hair, Pocket Spirit (Green hair at back), Mini Spirit (Purple hair) and Teacup (green hair at front). I love the smallest one, the teacup doll. She has a limited amount of clothing, but they can Beth includes tips on how to change the patterns. The Mini and Pocket dolls are similar in size, the Pocket doll has knee and elbow joints and a lot of clothing whilst the Mini doll has an additional pattern to change the doll into an Elf, Mermaid or Centaur. The great thing is the patterns are FREE, Yep, it turns out the best things in life really are free. If you can crochet, even if you’re a beginner have a go at the patterns and you’ll be hooked. I love by Hook and By Hand! Been following her for years! Thank you for your sweet post! I am only sorry that it has taken me three years to see it, and to find your blog :-) You write well, and passionately, about important subjects. I’ve enjoyed my evening reading your considered thoughts. P.S. and it is always a pleasure to meet a fellow dollmaker! Beth, thank you so much. Both for your lovely comments and for your patterns that I have been a huge fan of for a long time. 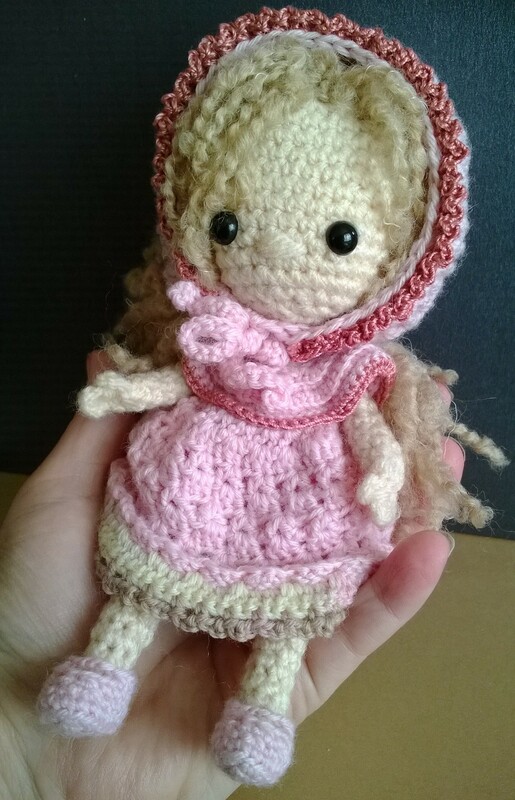 I love crochet dolls best of all, although I’ve made a few Waldorf dolls recently which I really like.